I usually don't do custom commissioned work, but I decided to take this one on. I'm glad I did. I am very happy with the results, and I think Charlie will be too. 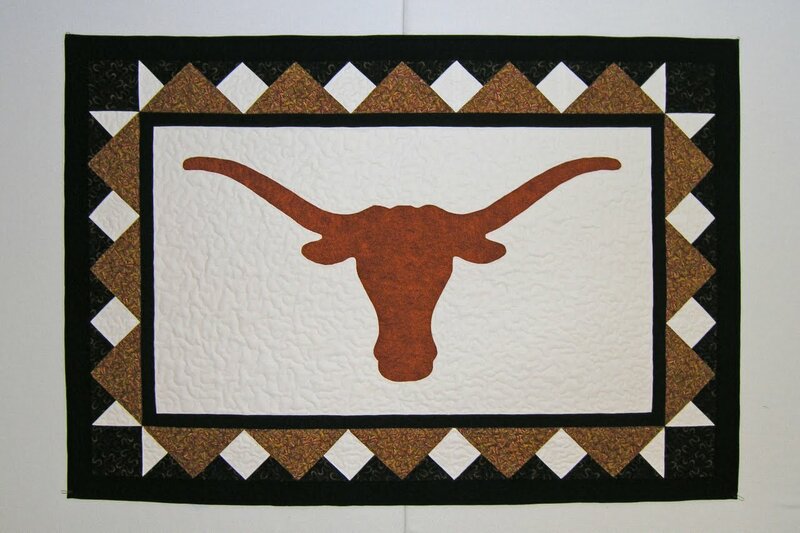 He wanted something with the Texas Longhorns mascot on it. (I had to do some research here. 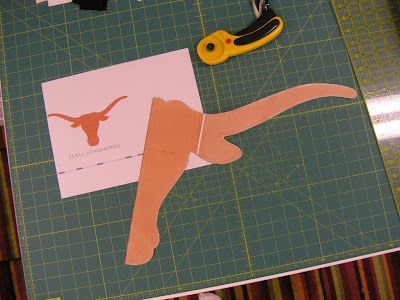 I am NOT a college sports fan in any way, shape or form!) So I found the logo online, printed it, enlarged it, and had my pattern. 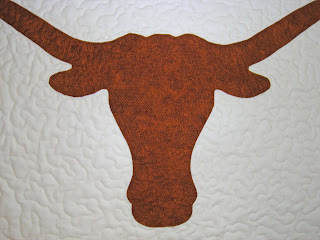 I appliqued the logo, which by this time, I knew to be "Bevo" and it sat on my design wall for a while. Actually, a lot of things sat on my design wall for a while last year! 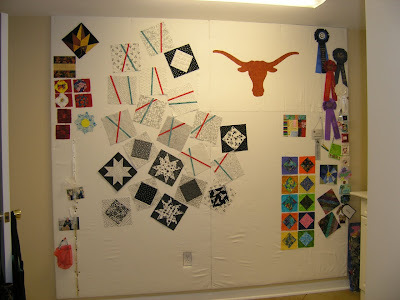 This is the finished wallhanging! So all I need to do now is get the hanging sleeve on it and put it into the mail to Melanie in Enid, Oklahoma. This is a gift to her from Charlie and his wife, Rose. 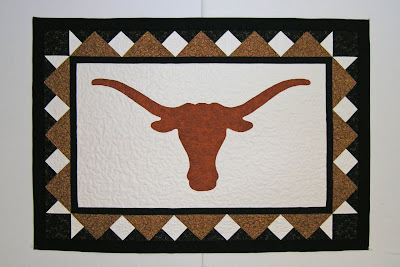 Melanie is the only Texan working in an office full of Oklahoma gals, so I think this wall-hanging will be a conversation piece in her office for a long, long time. At least.........I hope so. 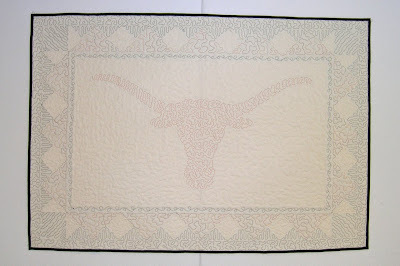 Well..........I decided not to hand-quilt this one. After all, "done" is better than "perfect." Right?? 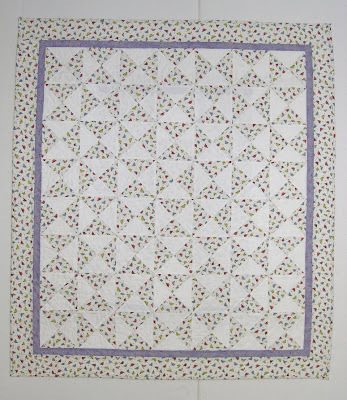 I did some basic stippling on the main part of the quilt, some loops in the inner border and flowers in the outer border. I think it turned out real cute and I know that Baby will love it. I used up just about all the leftover fabric to piece the backing. 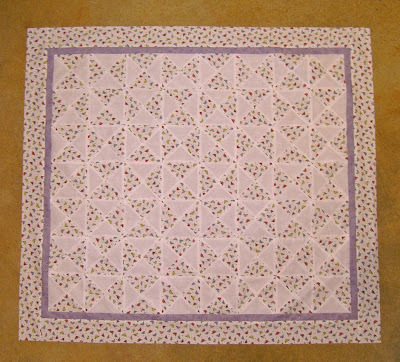 It didn't turn out as cute as I had hoped, but I still like it better than a plain muslin back. 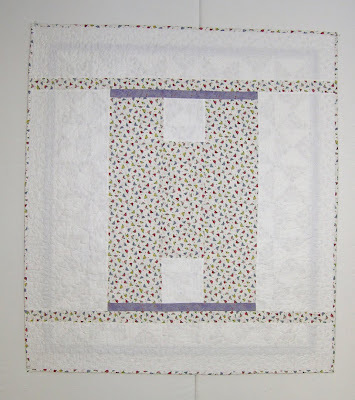 Did you know that when you piece the backing, quilt appraisers call it "Back Art"? That must mean it's better than plain muslin. Even if it isn't better, at least it is a good way to use up some of that stash! 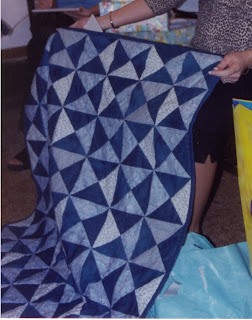 I really have no idea why I decided on the "Broken Dishes" block for my great-nephew Blake's quilt in 2001. I do know I wanted a traditional look and I wanted to use my stash. I remember that his mommy cried when she opened the gift. That's the kind of response we quilters like. We really want our hard work to be appreciated! Now Blake is about to become a big brother. His mommy is having the first girl great-grand-baby in our family after a string of eight (yes 8) boy cousins! 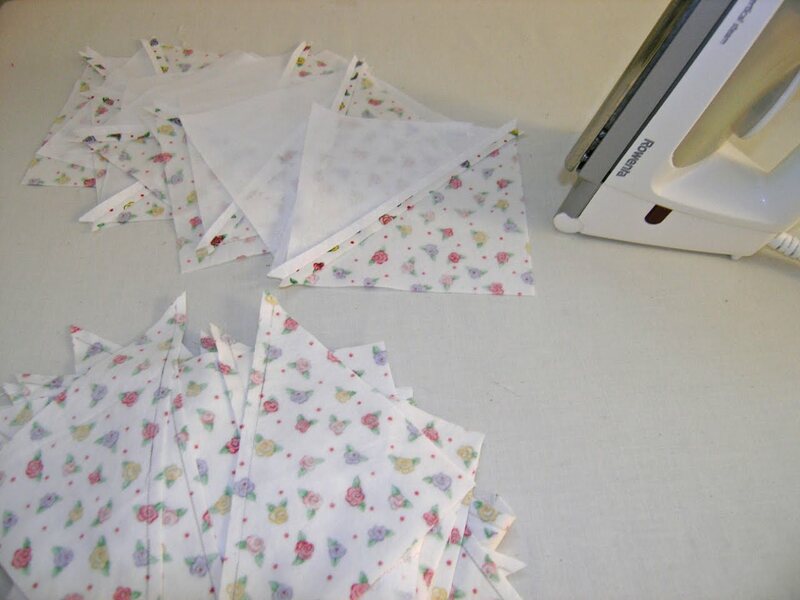 I thought about all kinds of cute and definitely PINK ideas for this quilt, but in the end I went with "Broken Dishes" again, and I used a soft floral print from my stash with "just enough" pink in it. 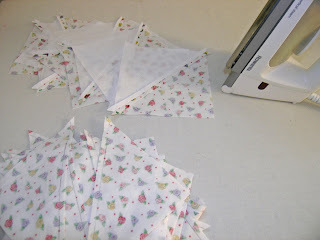 Even though it's more work and can be time consuming, I like to iron my seams open. I think the blocks are more finished looking and the piecing is more precise. 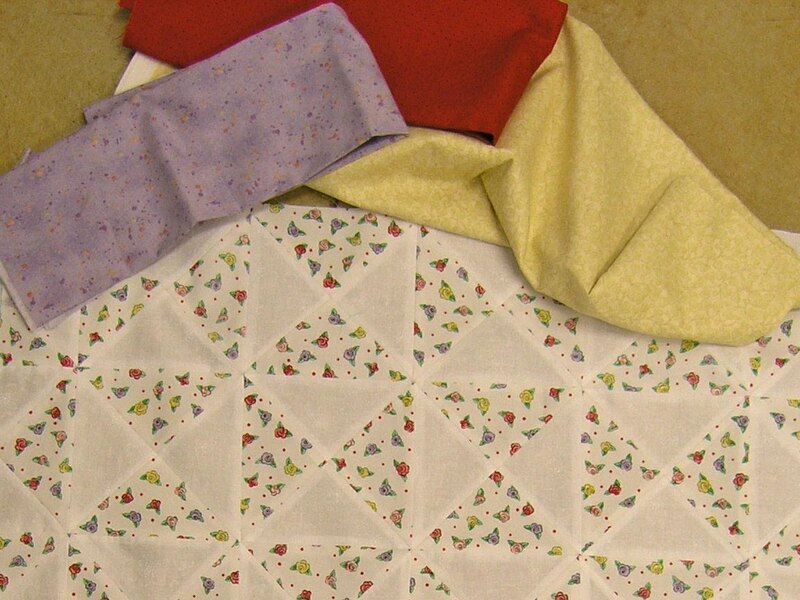 Choosing the right color for a small border was challenging since I was working from my stash. I really wanted to go with a yellow or pink, and I even thought about red since there is a tiny red dot in the background of the print. 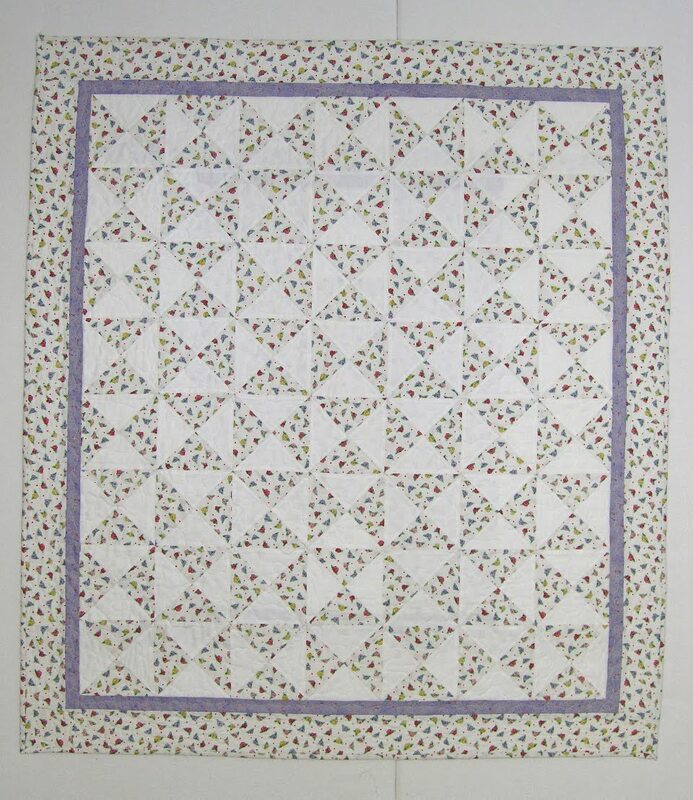 I ended up liking the light purple the best, though, and after adding just a 1" inner border of that, I finished it off with a small outer border of the print. 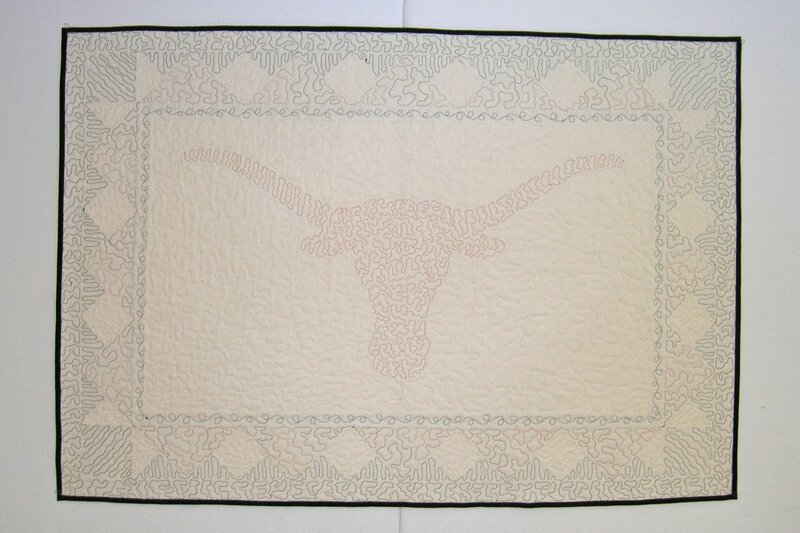 This one needs to be hand quilted for sure, so it looks like I will have something to work on in the hotel at the AQS Show in Paducah later this month. 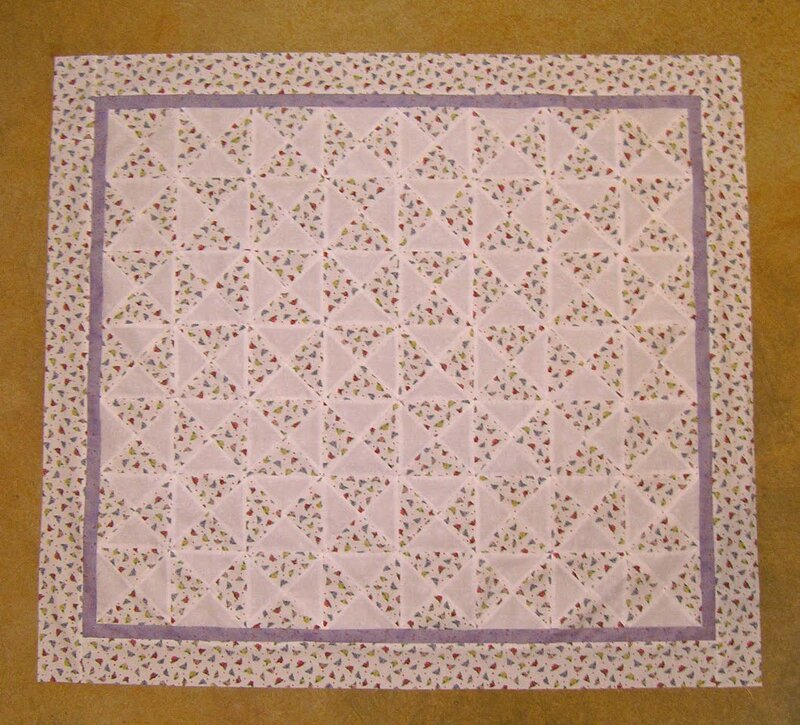 Now to get the backing pieced so I can baste it and get started quilting. 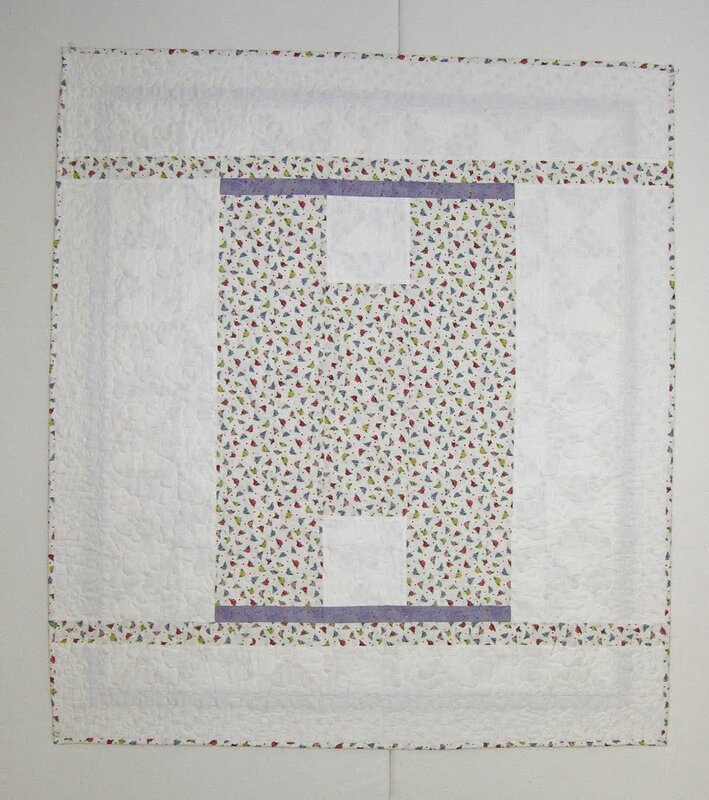 Doesn't this look like just the perfect quilt for a very special little long-awaited girl baby? ?